Our active Castle Pines Village Realtor will create your personal real estate report. Castle Pines Village is located on the north side of Castle Rock, Colorado among rolling hills, with plenty of Ponderosa Pines and mountain views. 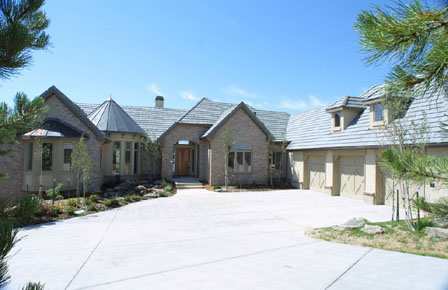 This luxury home community is fully gated and staffed by professional security police. Homes range from the few town-homes and patio homes priced below $700,000, to beautiful sprawling estates located on acreage with mountain views. These spectacular homes can range in price from $1,500,000 to $5,000,000. Castle Pines Village offers a number of amenities to its residents, including a recreational facility with indoor lap pool and exercise equipment, an outdoor pool for Summer use, tennis courts, and a park. In addition, private golf is popular at the local Castle Pines Country Club. Both golf and social memberships are available there. 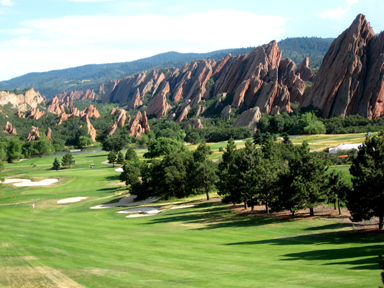 In addition to the Country Club golf course, Castle Pines Village also is home to the International Golf Club. This is the chosen venue for the International Golf Tournament on the PGA golf tour held each August. Membership to that club is very exclusive and by invitation only. Schools and shopping are convenient to Castle Pines Village. All public schools are within 2 miles of the community. An attractive “Town Center” is located at the corner of Happy Canyon Road and US 285, adjacent to The Village. Here you will find stores, restaurants, and shopping. The local King Soopers supermarket is located 2 miles from Castle Pines Village on Castle Pines Parkway. Also, the historic town of old Castle Rock is less than 5 minutes from Castle Pines Village. Here you will find shopping ranging from “Big Box” stores like WalMart, Costco, and Home Depot, to the quaint downtown area, which is reminiscent of the old stagecoach stop between Denver and Colorado Springs. There are also Factory Outlet Stores are located in Castle Rock. Although it is fair to say that most of the residents of Castle Pines Village do not have school aged children, there is still quite a community of youngsters. They are most often found during the summer at the community association pool, parks, and tennis courts. The commuting time from Castle Pines Village to the Denver Technology Center (DTC) is 15 minutes. To downtown Denver the drive is about 40 minutes. Commuting time to Denver International Airport is 40 minutes. The City of Castle Pines is located just to the north of Castle Pines Village. It is a more traditional suburban community with the vast majority of households having school aged children. The lots there are smaller. The homes are more like homes you’d find in nearby Highlands Ranch. That area is not a gated community, and homes are generally $400,000 to $900,000. 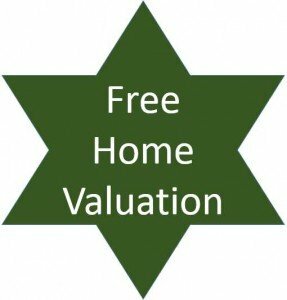 Have a question about Castle Pines, Colorado real estate? Please use our easy to follow form below and we’ll get back to you quickly!